Book Club this month was the book How to Be Cool by Johanna Edwards. The book was bleh and predicatable, but the food was-as usual-very, very good. Do I attend book club just for the food? 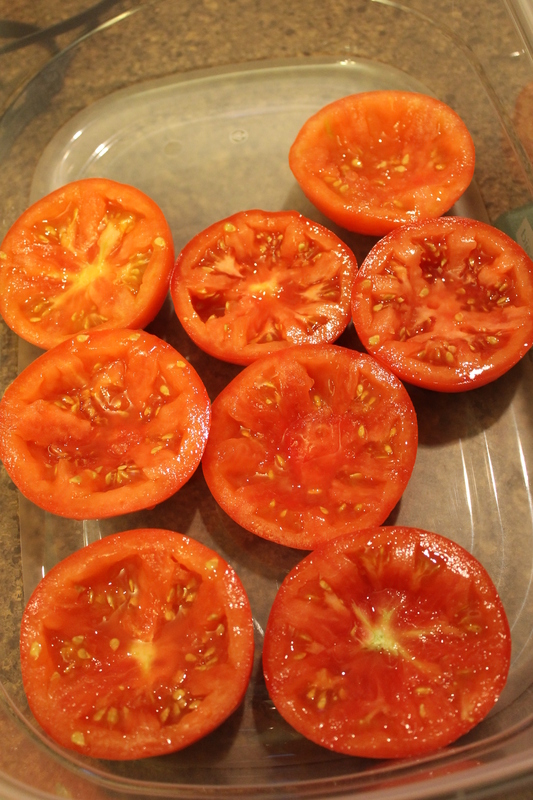 This month, we had a plethora of fresh garden tomato recipes, and they were a hit. 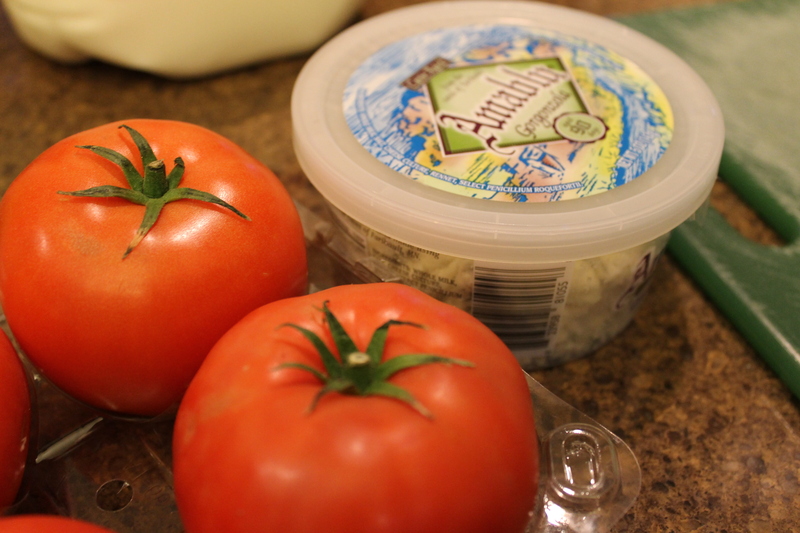 We had fresh salsa, mozzerella and tomato dip, tomato bread, tomato sandwiches, and of course, chicken salad. I made steak and chicken quesidillas with guacamole with tomatoes and also spinach, tomato, and bacon dip. My dishes were fine, but I had some other favorites. 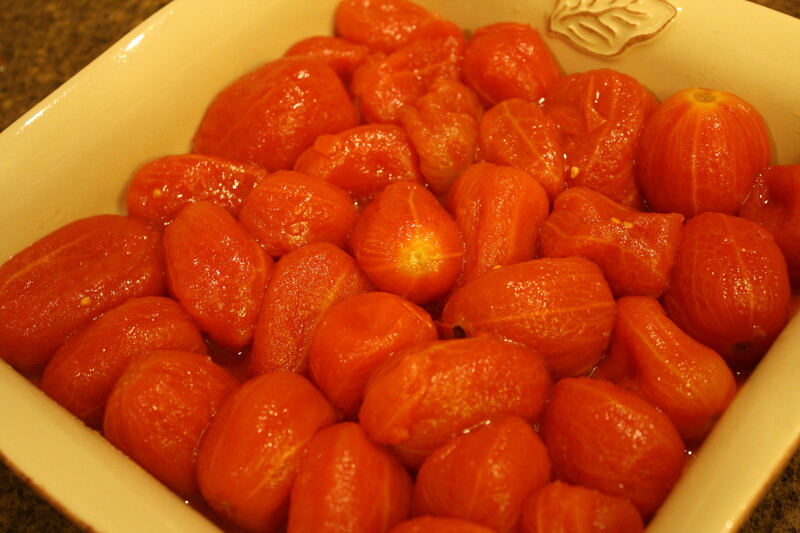 One of my favorites was Amy’s broiled tomatoes. 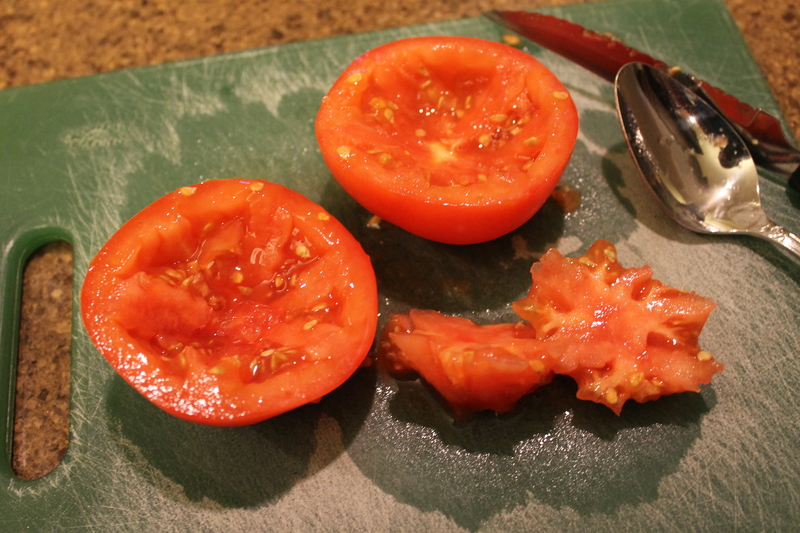 I copied her dish by slicing two fresh tomatoes into quarter-inch slices. 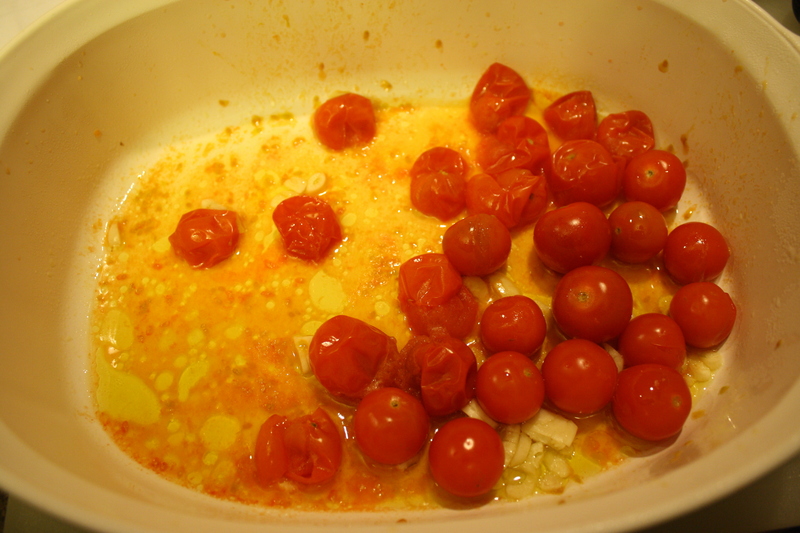 In a glass casserole dish, I placed the tomatoes in a single layer and coated them with olive oil. 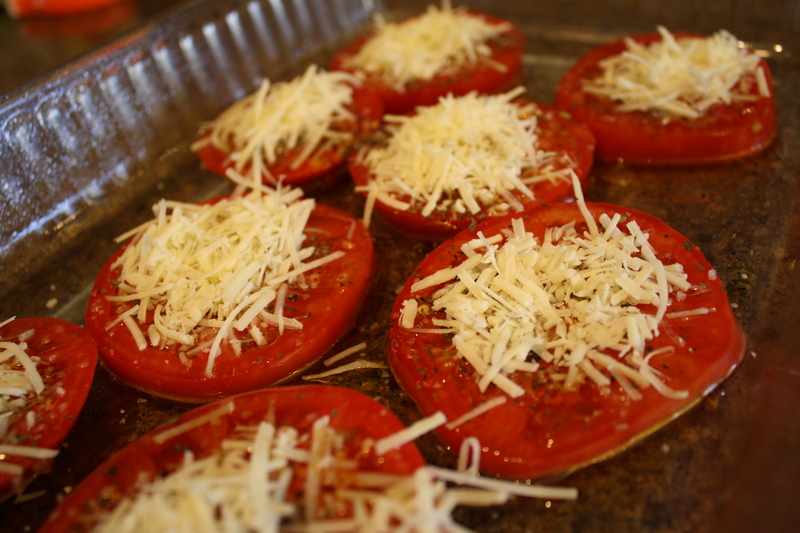 On top of that, I generously sprinkled salt, paper, basil, and Romano cheese. I baked that in the oven at 350 for twenty minutes, and then I broiled them for two minutes. They were delicious and so, so easy. 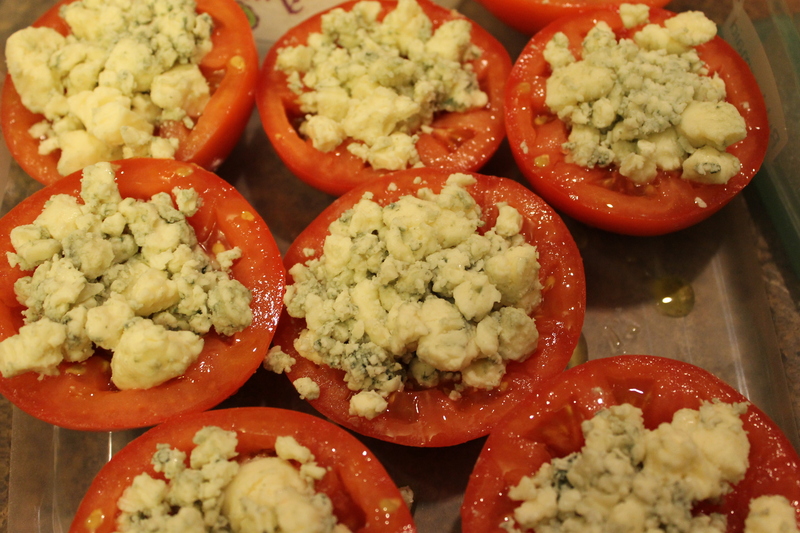 A few more minutes in the oven would not have hurt them, but I was happy the way they were. 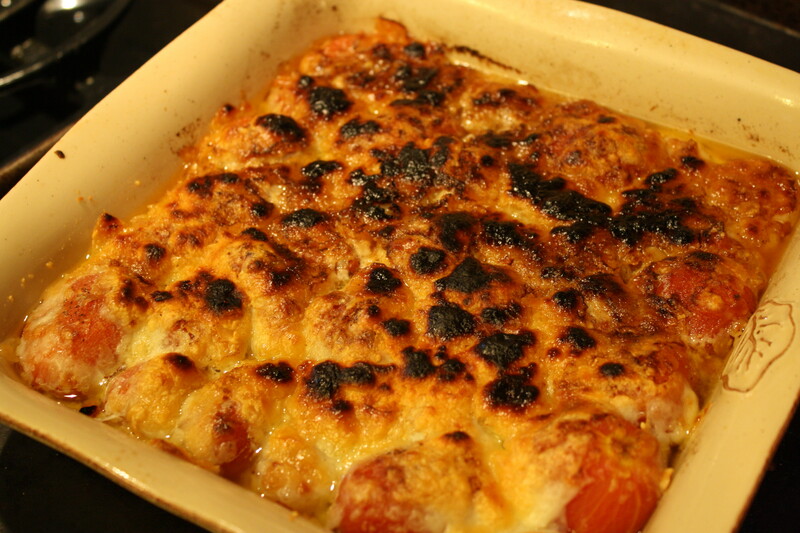 A good use of the many, many tomatoes that are in the garden now. 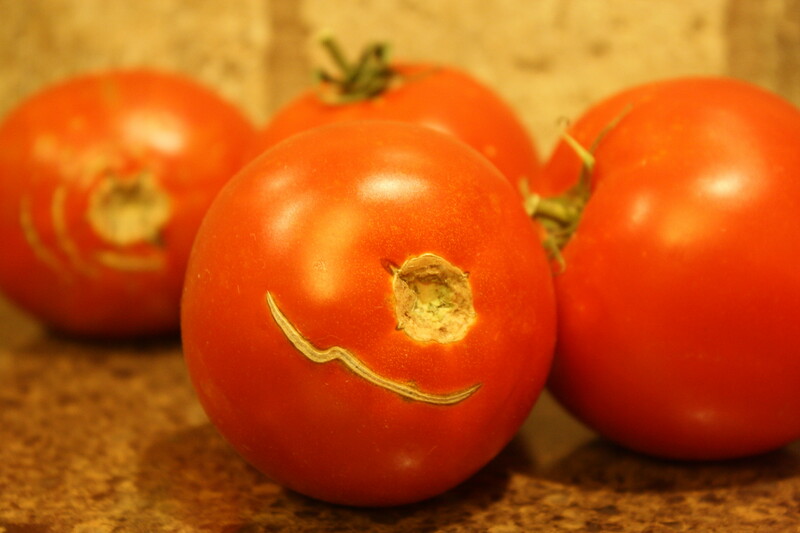 Our tomatoey book club was fun, even if the book was not. My new favorite condiment is pico. I used to hate it, but I guess that with age, my taste buds have changed. That and the fact that we eat at our favorite Mexican restaurant at least once a week, and I have found a wonderful steak dish that they serve with fresh pico. 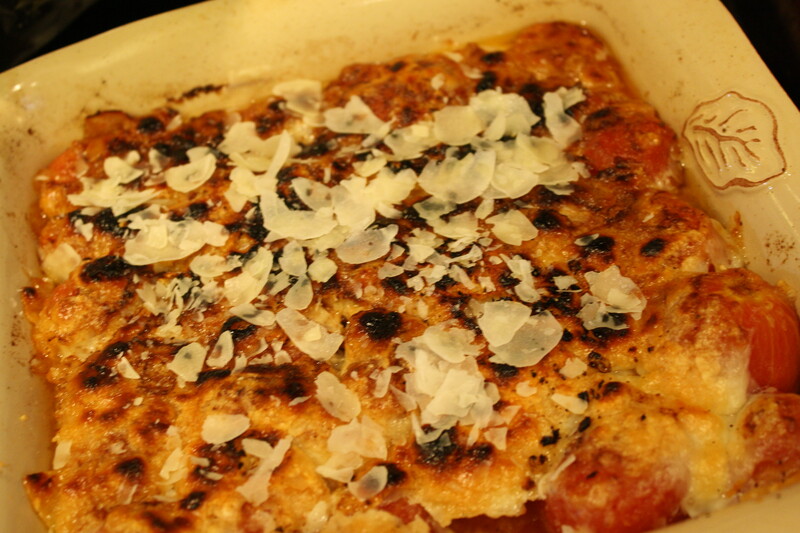 I think that this would make a fine dish for a Super Bowl party because it is easy and somewhat healthy. Healthy isn’t something that I worry about during the Super Bowl, or most any other time, but pico is also delicious so it all evens out. One medium onion, diced. 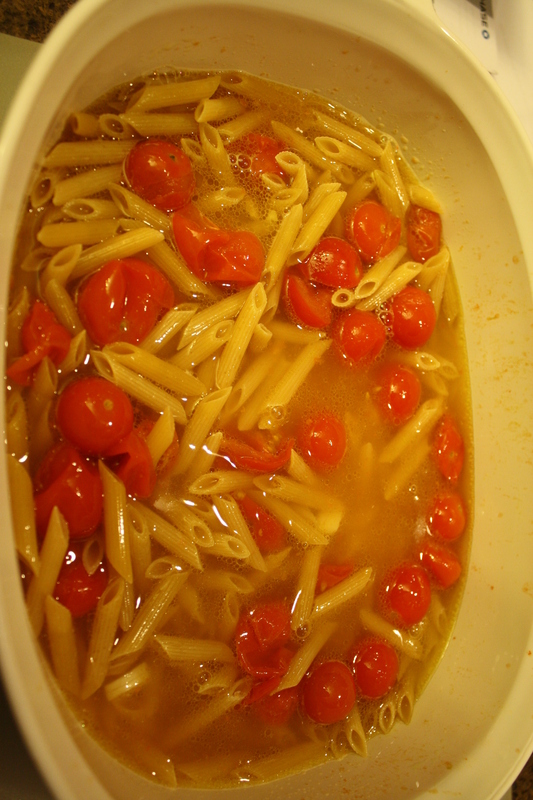 I like my tomatoes and onions chunky. 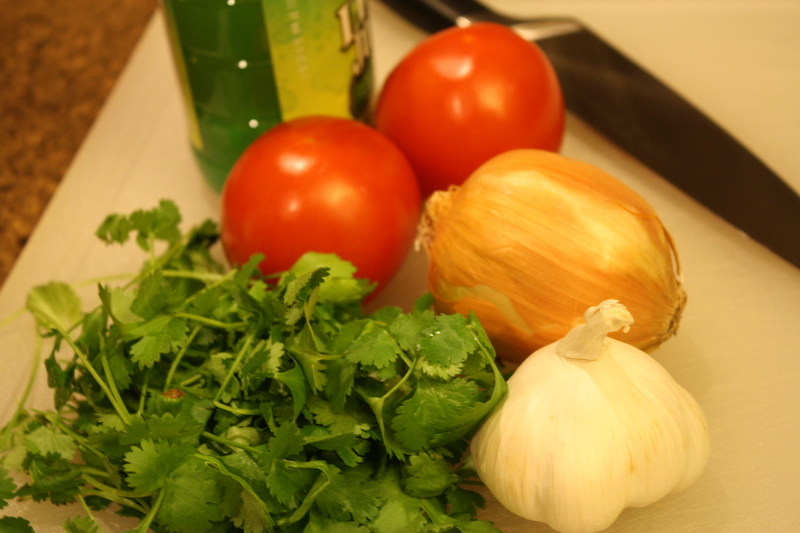 One bunch of cilantro-I used 66 ounces to be exact. I striped the leaves and chopped them, but I left several leaves whole. Combine all the ingredients and chill. 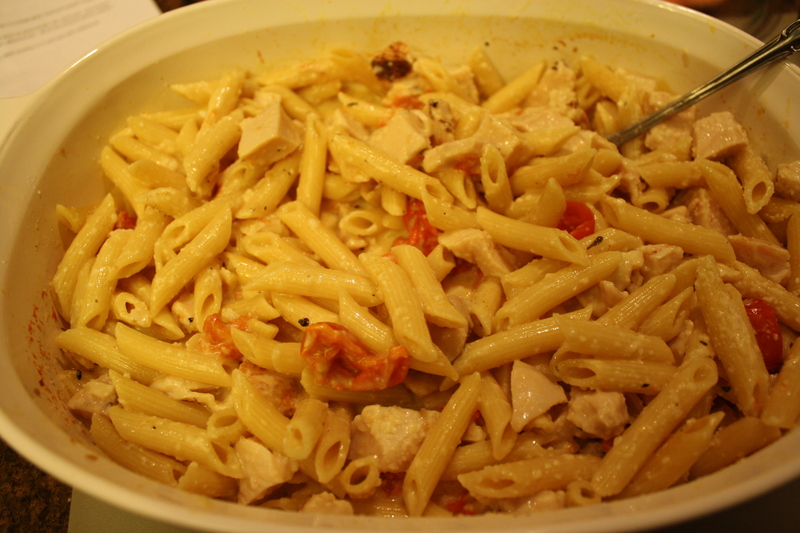 As it chills, stir several times to help incorporate the flavors. Sometimes when mine looks a little thick, I add a little water. 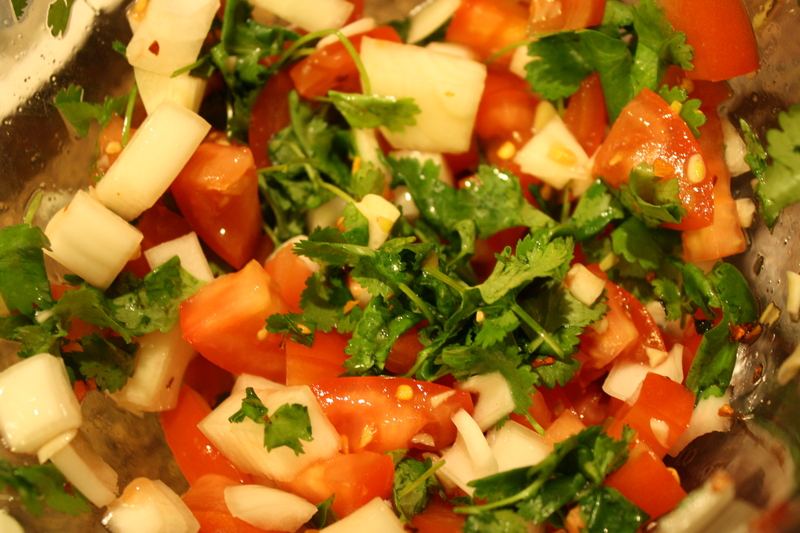 I like a sloshy pico. Serve along side the other chips and dips you have. Don’t you just love it when something you’ve made a million times turns out wrong? I can make this recipe with my eyes closed. I have done it a million times. 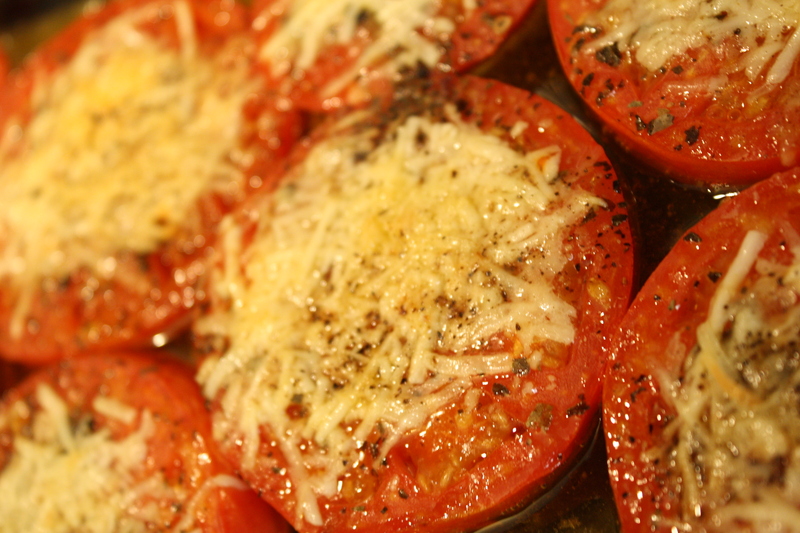 You take canned tomatoes, drain them, cover them with salt, pepper, butter, and shaved or grated Parmesan cheese. Then, you broil it for about ten minutes. Or, you burn them halfway to Kingdon Come like I did. People were on their way to my house to eat, of course. At least the place wasn’t full of smoke, and it didn’t smell too bad. I think. What to do? Hide the evidence with extra cheese, of course. Worked like a charm. If only I could fix bad hair days this easily. Lunch today was just for me since no one else was hungry. 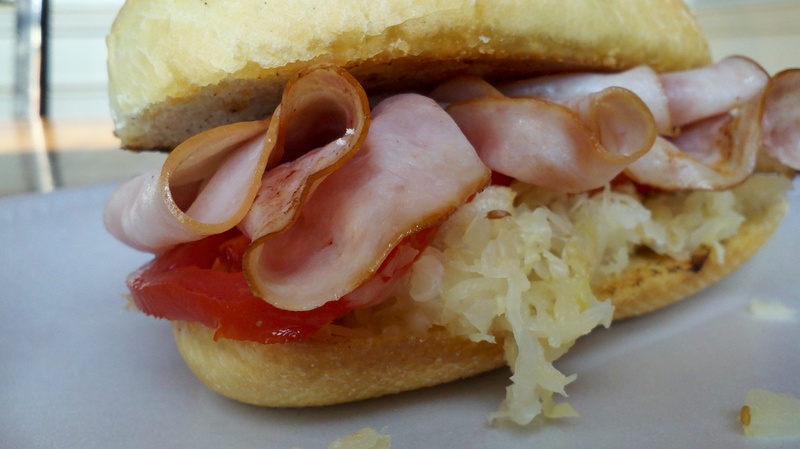 I concocted a ham sandwich on a buttered, toasted roll with a tomato from a friend’s garden and sauerkraut to boot. I ate my weird yet yummy sandwich while watching Bobby Flay make a fancy-schmanzy brunch of TV. I think my sandwich looks better.